Everyone loves flowers and flowers are for everyone. 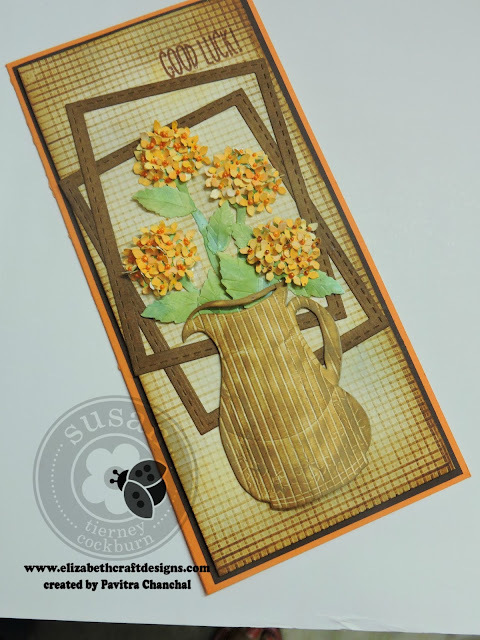 I wanted to create a masculine card with handmade flowers, for this card i used Susan's Garden Dies -GN Pottery pitcher and GN Hydrangea 2. The finished card measures 4-1/2 x 9-1/2.Here is how i created this card. 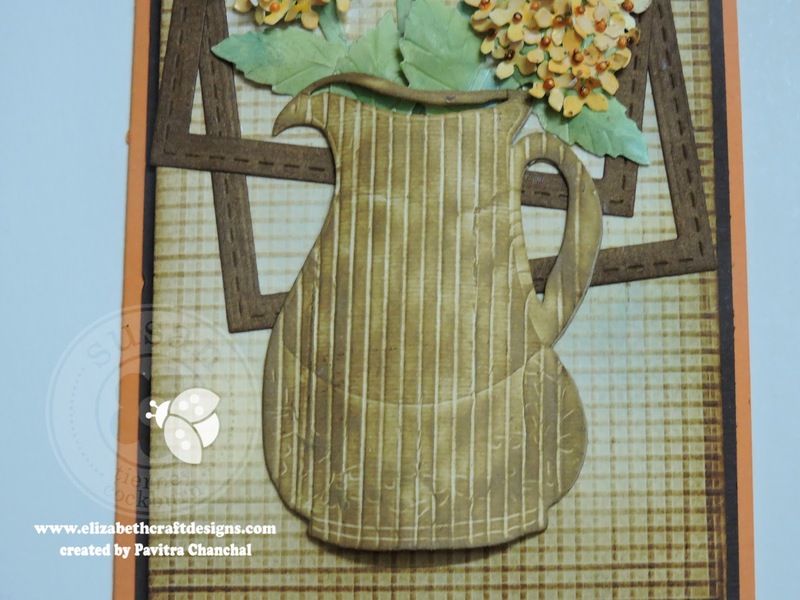 Cut orange cardstock 9 x9-1/2 , score at 4-1/2 and fold. Cut brown cardstock 4-1/4 x 9-1/4 and layer on top of orange cardstock. Score watercolor paper 4 x 9 at every 1/4 inch both horizontally and vertically for creating check effect. Sponge distress ink old paper and weather wood lightly in the center and darken the edges with distress ink walnut stain. Layer it on top of brown cardstock. 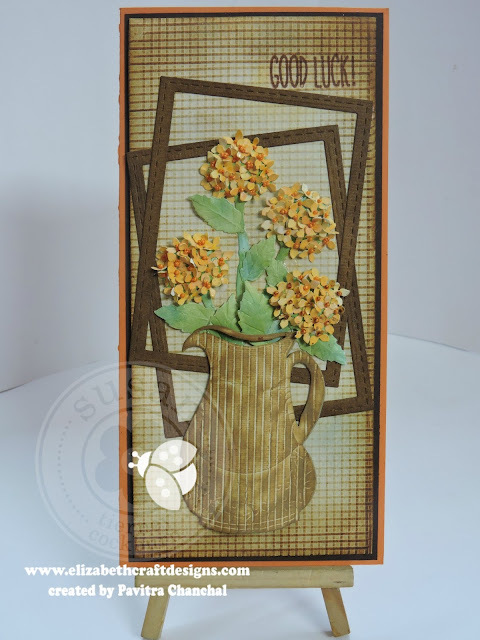 Die cut Soft Finish Cardstock into two square frames using second and third largest dies Sponges with distress ink vintgae photo. 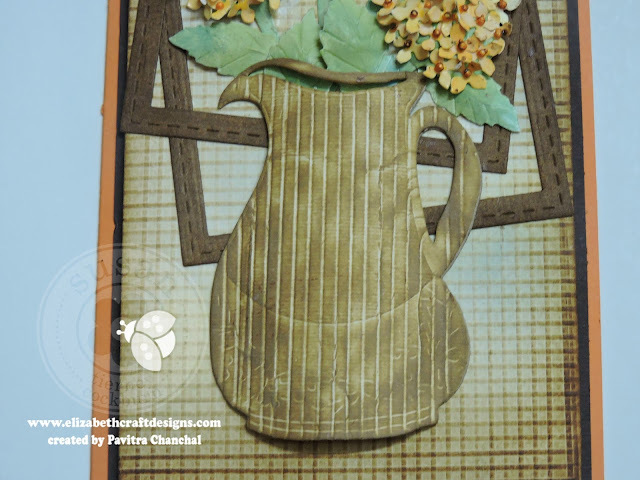 Die cut Soft Finish Cardstock with GN Pottery Pitcher die , score it at every 1/4 inch and ink with old paper distress ink. 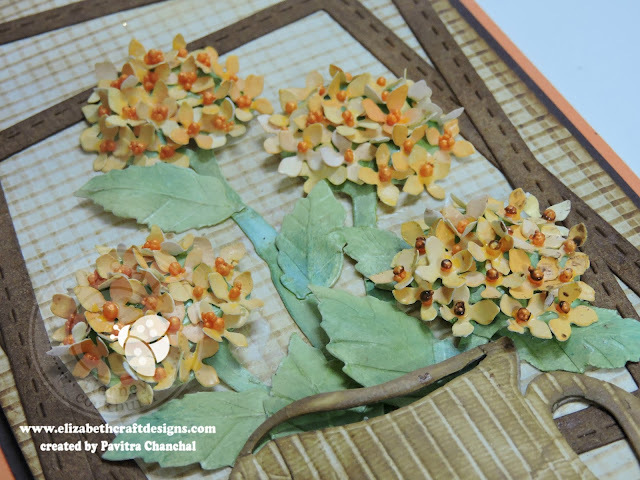 Die cut Soft Finish Cardstock with GN Hydrangea 2 , sponge the flower petals with distress ink fossilized amber and spice marmalade . 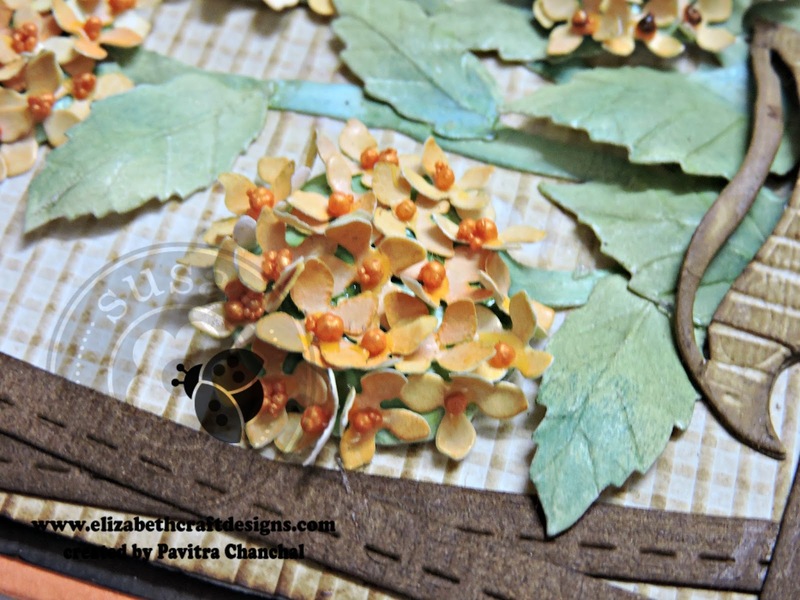 For the leaves use distress ink peeled paint and pine needle. Shape the flowers and leaves with Susan's Garden tools and leaf pad. In the center of flowers used prills. Stamp the sentiment - good luck with vintage photo distress ink.